Moringa leaves could practically wipe out malnutrition on our planet. Experts agree that the long-term solution to malnutrition is the use of foods rich in the essential nutrients often lacking in people diets. Modern scientific research has proven that Moringa leaves are one of the richest sources of such nutrients. Even small amount of the leaves could protect thousands of people from suffering and death. People in several countries have found that Moringa leaves are quiet acceptable to taste especially when added to common foods. 7. Boosts energy levels& many more! 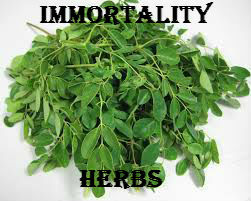 First, Moringa supplies the body with a tremendous amount of energy. This allows you to work harder at the gym, at work, or at home. So you will burn more calories throughout the entire day. Plus Moringa allows you to be more productive so you do not have to work hard catching up with your busy schedule. Second, Moringa helps naturally reduce your calorie intake by suppressing your appetite. When your body nutrients, our brain send signals to our stomach to alert us we are hungry. However, if we eat the wrong foods, our body still craves nutrients and we continue to eat, eat, eat, and eat. In reality if just consumed the nutrients our body wants we wouldn’t overeat. Moringa packs a whopping number of vitamins and minerals so that your body gets the nutrients it needs and your waist line won’t suffer as a result.